Page 6 holds two different collages created by Linda. The first collage focuses on the theme of love. The second is entitled '1966'; its theme relates to its title, the year 1966. 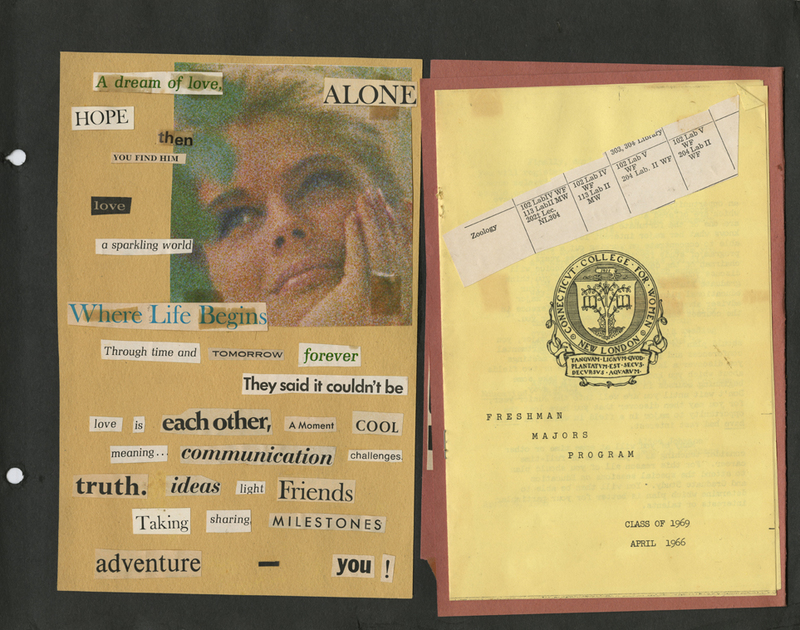 This collage is adhered to the page underneath the Freshman Majors Program. 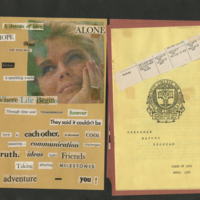 The Freshman Majors Program contains listings of all Connecticut College's educational programs in 1966 and the dates, times, locations and faculty members hosting informational events on each one in April of 1966 for incoming freshmen. Adhered to the front of the program is a clipping of Zoology course offerings. Zoology was Linda's major during her years at Connecticut College. Abel, Linda Lee, “Linda Lee Abel Scrapbook Page 6,” Linda Lear Center Digital Collections and Exhibitions, accessed April 24, 2019, http://lc-digital.conncoll.edu/items/show/1085.